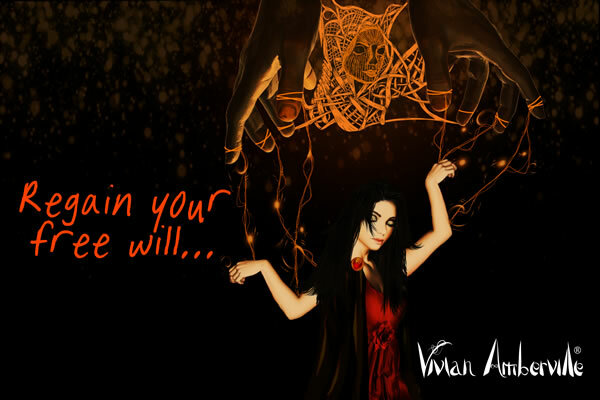 Do you hold power over your destiny? Are you a Weaver of Odds? There are invisible threads connecting us all: people, places, events - and above it all, the ultimate illusionists. The Masters of our fate. Puppeteers of our soul. Weavers of unseen patterns, whose wicked, twisting threads have long enslaved our choices. Have enslaved our free will. For too long, we have been the flies in their web - tightly-stringed puppets whose circumstances they now command. Every one of us, enslaved since birth. Slaves to our own destiny. 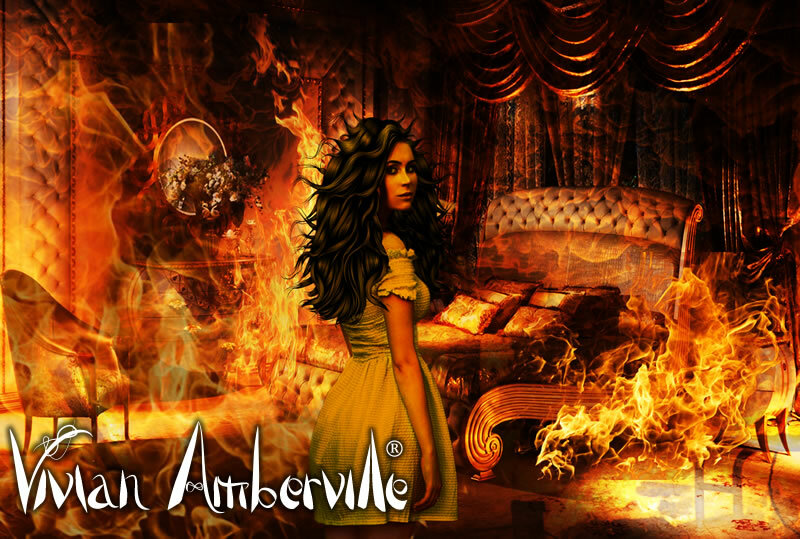 Vivian Amberville is not a saga to be read. 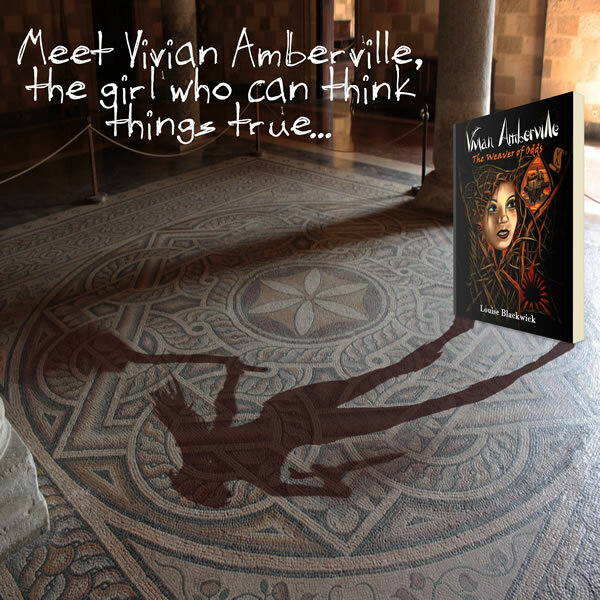 Vivian Amberville is a saga to be experienced. 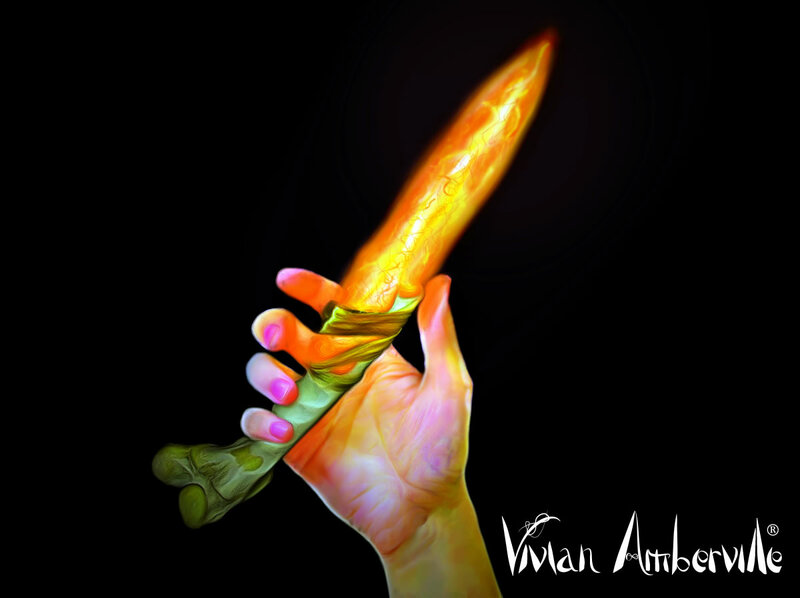 The Vivian Amberville book series follows the epic adventures of a young girl whose imagination can reshape reality. Helped by friends and challenged by foes, she discovers her ability to "manipulate events" can be detrimental in preventing the impending apocalypse. 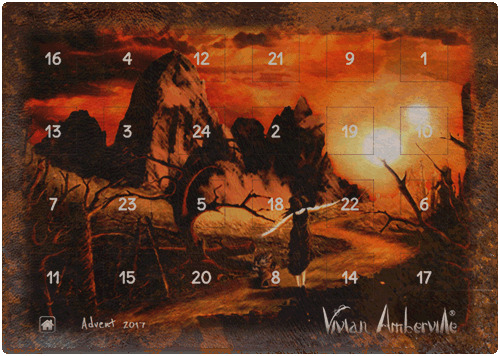 Check out our Vivian Amberville Advent Calendar 2018 and read 24 FREE microstories set in the megapopular Vivian Amberville universe! 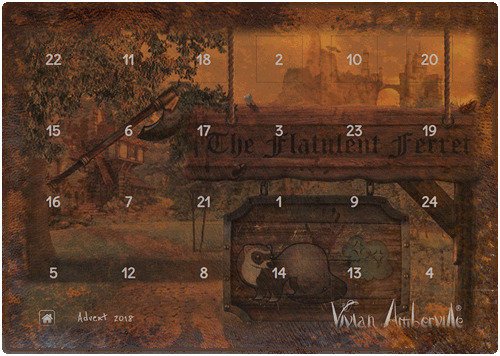 Check every day of Advent to unlock all the stories!